I am always SO thankful to start the day with a run. It felt fabulous to get 6 miles in (in -9 temps; woot!). Our deadline for Toys For Tots for our community was today. We have 675 kids that need toys in our small community. Such an eye opening experience to coordinate TFT this year. There is SO much involved in it. We are shopping tomorrow for 300+ of the larger toys. Fun! I was supposed to go to Ladies Night at a local running store tonight – discounted shoes, wine, raffles. Never made it because Carter was having a rough day and needed me. I’d rather hang with him than save a few bucks on a pair of running shoes. I think red wine has replaced beer as my favorite adult beverage! I crack up reading the searches leading to my blog. 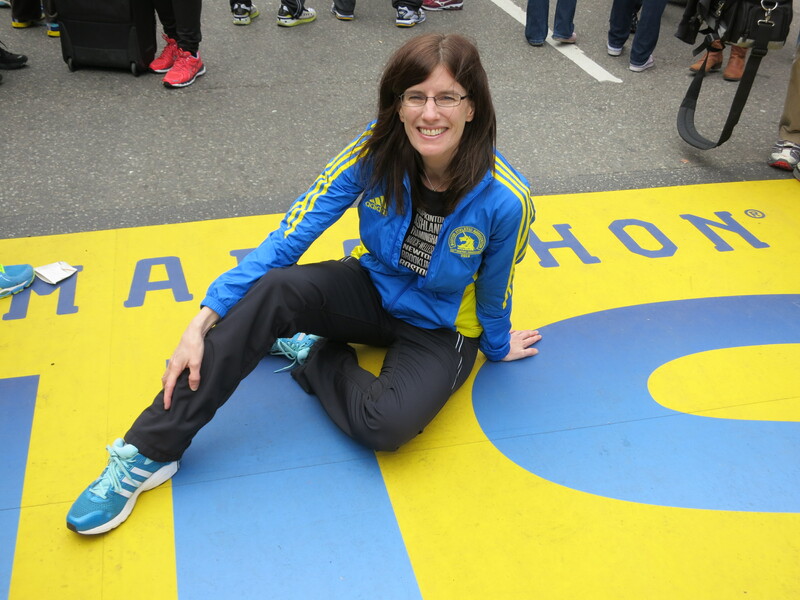 It was BAD BAD BAD when I posted my Boston report from this year. I mentioned running in bun huggers and also having my temp taken in the med tent. OMG, there are soooooo many freaks searching “pic of temp taken in bum” and the like. It was out of control!